Navy Lyres: Reunion Minus One. This stuff doesn't just float into the hotel on a cool breeze. 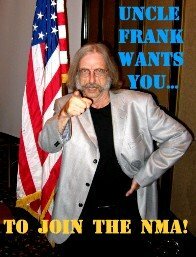 The 2016 NMA reunion begins tomorrow. For many of us--the board of directors, volunteer members and spouses--there's a lot of work to do today. Our reunion planning team meets yet again with the hotel management. A truckful of gear that arrived from Virginia yesterday--thank you Carl and Jerry--is unloaded. By "truckful" I mean "truckful:": pianos, drums, amplifiers, concert band stands, big band fronts, amplifiers, computers, music, bling. Everything that goes into making a successful reunion gets carried into the hotel today. Combo gear goes in the lounge. Big band and concert band gear goes in designated spaces. Registration room gear goes in the registration room. And this room is completely set up. Of all the previously mentioned tasks, this is the one that must be completed today. We can set up music stands for rehearsal tomorrow. We can pass out music tomorrow. We can tune tomorrow. But for members to check in, get organized and get oriented tomorrow, that room has to be ready today. So, a cool thing to remember is this: when the first Wednesday-morning dance band rehearsal starts a few minutes late because the small tomtom is missing or you can't find the second alto part for "Cha Cha for Judy," whining is not likely to be well-received.